Woodland owner and occasional deer stalker, James, gives us his personal views and advice on deer management gained from his own experience. Like many woodland owners we have deer in our woodland. The deer population in the UK is increasing rapidly and woodland owners need to consider a number of issues when dealing with deer stalkers or those offering deer management services. Building a relationship with a good, reliable deer stalker can be very beneficial. Besides controlling the deer population, he can keep an eye on things when you are not around, and may well be able to help out with odd jobs and other pest control. However, there are a lot more stalkers – most of them amateur or recreational - than stalking opportunities, and it pays to take a little bit of care over whom you choose. Deer control services offered as “no cost” rarely are – carcasses can be sold quite legally. A roe deer carcass can sell for £35-45 and a large red deer carcass for considerably more. Clearly there can be a conflict between culling deer to maintain a healthy population and selling venison for profit. There are stories of stalkers approaching landowners, offering to manage their deer, and then after a season or two leaving it devoid of deer and moving on. In stalking parlance this is called “shooting the place out”. Deer on your land are a resource, possibly financial but mainly natural. Don’t be told that simply by being there, those deer are a “problem” that need “solving”. Don’t be pressured into letting someone stalk because they quote the law to you – for instance saying you have an obligation to control the deer under the Deer Act or the government will send stalkers in to do it without your permission. Whilst the government can do that, this really only tends to happen when there is a severe over-population of deer in the area and they are causing significant crop damage or road traffic accidents. Even then, the authorities will try to work with the landowner first to try to resolve the issue. In reality, such situations arise very rarely. If there is a problematic deer population in your area, then you as a woodland owner will be one of the first to know! You do not by law need any qualifications to shoot deer. The law only requires the DSC1 (Deer Stalking Certificate) or DSC2 qualifications if you want to sell venison to a game dealer. DSC1 is a sensible qualification to ask for if you have no other way of establishing competence. If you do allow a deer manager onto your land, they need to justify their recommendations to you. You should ask them to produce a detailed Deer Management Plan, including a detailed description of the survey/census process used, and an evidence-based rationale for their recommendations. Deer Management Plans take time to research and produce, and a good deer manager will spend of lot of time on your land before they ever pick up a rifle. Be wary of anyone who’s too keen to start shooting or tells you a plan isn’t necessary. You can of course produce your own Deer Management Plan – it’s an interesting process that gets you up close and personal with your land. Do not allow a stalker exclusive access/shooting rights, or any shooting other than deer stalking. Make it clear they DO NOT have the authority to pass on any permission you give them to anyone else – such as friends, or even paying guests! I would ask to be notified in advance of when they are going to be there. Deer shot on your land are your property by law unless you agree otherwise with the stalker so I’d also ask to be notified of any cull figures and how any carcasses were disposed of. The deer’s heart, lungs, liver etc – known as the “pluck” – must be sent to the game dealer if the carcass is being sold into the food chain, but the rumen or “gralloch” does not. One grisly detail you need to specify is how the gralloch is to be disposed of. 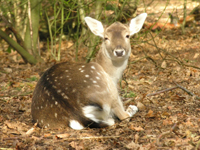 For hygiene reasons deer must be gralloched within a very short time – no more than 20-30 minutes after the death in the summer – so in practice it must be done on site. Some stalkers leave the gralloch in the open for the buzzards and foxes, and others may bury it if there is a chance members of the public may happen across it. Once you let shooters onto your land they can be difficult to remove, especially if you are not there a great deal yourself. They are out and about at odd times and tend to keep a low profile and avoid members of the public. You’ll never know a good stalker is there! Do I Need Deer Management and Where to Start? a) Read the excellent best practice guides and other information on the Deer Commission (Scotland) web site about how to assess deer numbers and deer damage to see if you really do have a problem, as well as what your options are for dealing with it. The DSC is the official Scottish Government body that deals with deer issues. Their web site is acknowledged as an excellent resource, wherever in the UK you may be. b) Decide what your management objectives are and consider whether they can be achieved by any other methods such as fencing or tree guards. c) If you do feel you need to use a stalker to cull deer than speak to local farmers, landowners, foresters, etc to see who they use – stick to someone local and experienced and who comes by way of personal recommendation. One school of thought suggests that using a dedicated local recreational stalker can be a better arrangement than using a professional stalker. They can help keep an eye on your land and may even help out with odd jobs around the place, especially if it improves the shooting! Many amateur stalkers have relationships with landowners going back many years and will often take on other unglamorous but necessary pest control tasks by way of thanks. d) Spend a good deal of time with them on your land to arrive at your management objectives, eg “maintain deer numbers at 6 per 100 Ha by culling two bucks and two does per year per 100 Ha”. This will also allow you to point out boundaries and areas you do not want shooting to take place in. e) Monitor them closely and specify what they are to cull – make sure they report back to you on their success or otherwise. f) Accompany them on a number of stalks – insist on it as a condition. I do think you need to witness a stalk yourself to understand many of the issues involved if you are authorising others to do it on your behalf, but that is a personal decision. A well-conducted stalk by a competent stalker is nothing to be afraid of. You may be surprised at the difficulty, skill level, safety focus, and ethics involved. Who knows, you may even decide to take it up yourself. g) I may not even ask for a DSC1/2 because it removes the pressure to shoot more than the stalker could reasonably need for their own table. Requiring a shooter to have specialist third party liability insurance is however a must. The main organisations that provide this for shooters are BASC and the NGO. You should keep a copy of this so you know when it expires. Make sure you have a written agreement in place – there are suggestions for content here . Any written agreement might also include a clause indemnifying you from any claim arising from their activities on your land. You will find that stalkers will usually agree to most conditions you insist upon. I would not necessarily recommend checking the conditions on a stalker’s Firearms Certificate. It can be a confusing document if you do not know what to look for. The stalker, not the landowner, needs to make sure their own actions are safe and legal when shooting – you can’t do it for them. It is they who break the law if they disregard a boundary, shoot a deer out of season, use the wrong calibre rifle or take an unsafe shot. h) Make sure you have the right to terminate any agreement at any time for any reason without notice. Avoid open-ended verbal agreements at all costs. I would time-limit any permission with a written, automatic cut-off date – no longer than the end of eg the current roe buck season. I would also include a general clause to say that if they are not fulfilling their commitment to manage deer numbers as agreed, then any agreement will be terminated. Poaching is a civil offence and can be difficult to prove, but any shooting – including shooting with air guns on land without permission is armed trespass – a serious criminal offence that the police take seriously. Stalkers will know this, and a written agreement means there can be no misunderstanding about when a stalker’s permission to shoot has expired. I’ll add that, although I’m an occasional stalker for my own table, 99% of the deer I see get shot with nothing more than a camera. Our woods would not be the same without them. When a woodland is cleansed of deer then bramble takes over, making an impenetrable dense mass which rapidly degrades the woodland ground/herb layer. I have seen this. Please never allow excessive extermination of deer – they are a valuable part of the ecosystem indeed essential for healthy woodlands. 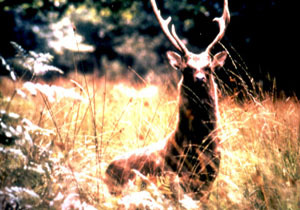 Be careful that deer shooters are not making profits by selling venison at the expense of the biodiversity of your wood. Even though I have DSC1 all it proves is that I knew what was safe during the test, not that I practice safety. (which I do) But as mentioned above, it does show a commitment and some prior knowledge. Saying that “Deer control services offered as “no cost” rarely are” avoids the issue that I’ve spent over a grand on a rifle and scope and own a suitable 4×4. If you find someone who will appropriately manage the deer on a small patch of land, perhaps ask for some meat in exchange. Thanks for a very nice article, which clearly explains all the points. I would strongly disagree N.HWalker. To complete your DSC1 you must show safe rifle handling. This is done by a shooting test on targets at differnt distances to show your competence on taking a shot and making sure that where you are aiming is where the battle will hit. The second part is a 20-30min walking around a ground with a assessor with hidden deer targets, u must find them and be able to tell your assessor of their position and if they are a safe shot or not. At all times you are carrying a rifle ( unloaded) which you MUST know where the muzzel is pointing at all times ( muzzle awareness ) and on top of all this you are asked a series off safety questions drawn randomly from a bank of questions which you must answer and demonstrate. On top of all this you must pass your written tests before this and stump up the cash knowing that even though you have your DSC1 you may not get any permission to shoot over. If I were a landowner and I had a choice between somone that put the effort in and did their firearms safety to somone that’s does not I know which I would choose. Thank you very much,very clear explanation of all important points.Very helpfull. I am a student doing a project for my AS Biology on controlling populations of wild animals, reintroduction of predators vs human managment. Could anyone give me an idea of how much culling costs? For example, how much the Richmond Park deer culls cost? It would be very helpfull, along with any other information you know (e.g. which animals get culled, what time of year, etc…). If anyone has any information please contact me at: [email protected]. Thankyou for your time. A DSC1 or a DSC2 are not guarantees that the person holding that qualification is a safe user of a rifle. I have experienced some of both who should not be allowed to have any gun even an air rifle. In no way am I against education, but we are now in a situation where authorities and landowners are demanding a DSC1 as an absolute necessity before you can either have a rifle or stalk. Wiltshire Constabulary now have THEIR interpretation and are insisting that a person spends £300 of their hard earned cash on taking a DSC1, when the actual firearms licencing laws do not say that at all. Land owners should insist on some pretty solid references of past history from at least four different sources before letting anyone on their land to shoot with any rifle. A DSC1 proves nothing of value. Thanks i was looking for some sensible advice before forking out for a course and you have shone some light on the subject for me .